Lemons are for summer, and with the season coming to an end, I felt like making my lemon chiffon cake! 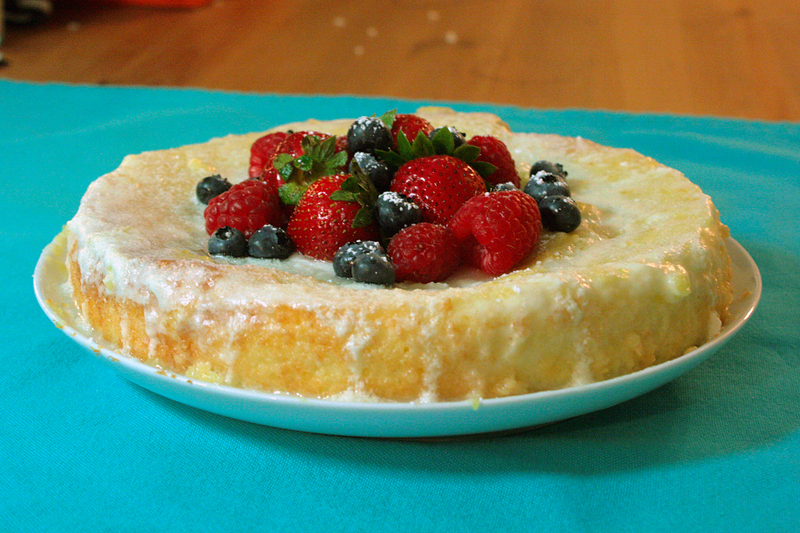 The cake is fragrant, light and airy, and not too sweet, with just a thin sugar glaze flavored with fresh lemon juice. It’s nice because you don’t feel super full after having a slice! 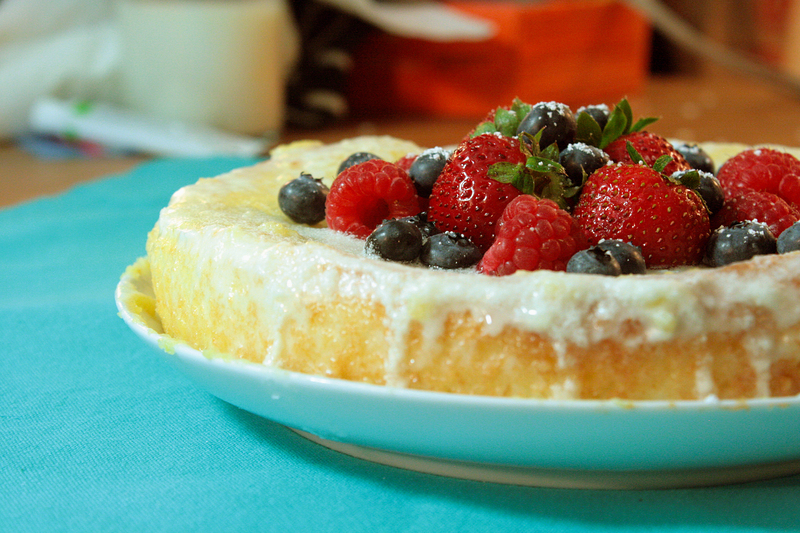 The last time I made lemon chiffon cake was over a year ago, so I was excited to finally have some again. Then I got to work prepping the ingredients. I forgot that the recipe calls for 3 tablespoons of lemon zest. 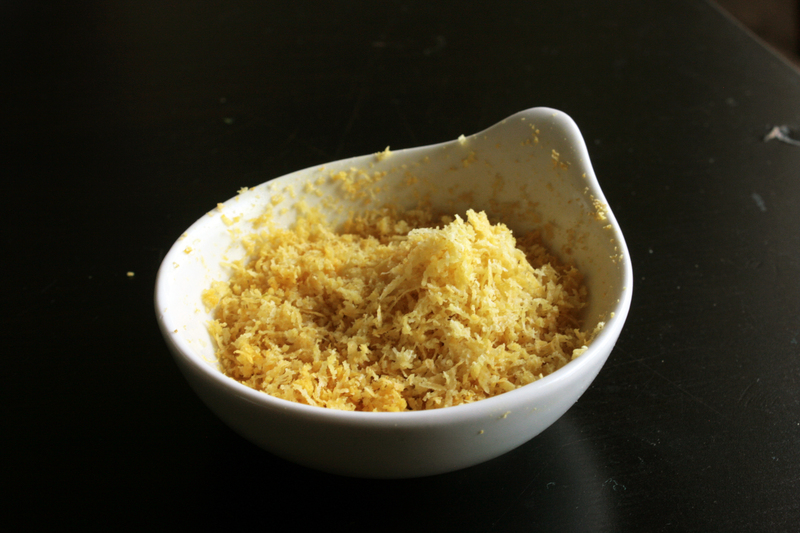 Do you know how long it takes to grate that much lemon zest? A long time. You must sacrifice the skins of 6 lemons and build up your stamina to survive the grating process. I actually broke our grater. As I stood there with the pieces in my hands, my roommate shaking her head at our loss, I suddenly remembered why I hadn’t made this cake in so long. Stop and take a moment to appreciate all that beautiful lemon zest. I know chiffon cakes are usually made in a tube pan, but we don’t have a tube pan, so I used a round springform for half the batter, and made cupcakes with the rest. I would be cautious with pouring all the batter in anything but a tube pan, as it might not bake evenly all the way through. 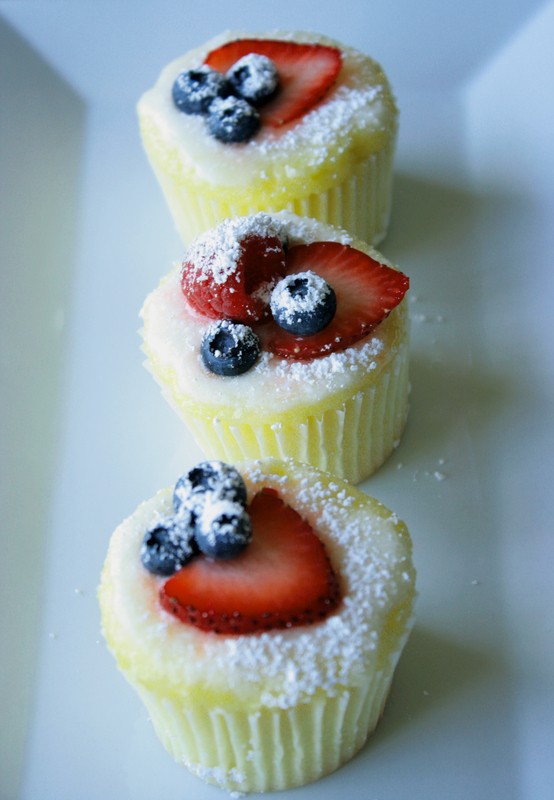 I also threw some berries on top and dusted with powdered sugar for a little added fresh sweetness. 1. Heat oven to 325°F and move rack to lowest position. Beat egg whites, 2 tablespoons of sugar, and cream of tartar in mixer until stiff peaks form. 2. Combine flour, 1 cup sugar, baking powder, and salt in a medium size bowl. Mix in water, vegetable oil, vanilla extract, and egg yolks until incorporated. 3. Carefully fold egg whites into batter. It helps to fold in about a quarter of the whites first, then fold in the rest, instead of doing it all at once. 4. Grease your pan and pour in the batter. cut through batter with a knife to remove any large air pockets, and gently tap pan onto your counter top to release any bubbles. 5. If using a tube pan, bake for about an hour, and do the toothpick check to tell if it’s done. If using a round pan like mine for half the batter, bake for about 20 minutes. 6. With a tube pan you will have to let the cake hang upside down while it cools, so it doesn’t collapse. This can be done by placing it upside down on top of a wine or beer bottle. Then after about an hour, you will take the pan off the bottle, position over a plate, and run a knife along the edges of the pan to release the cake. I don’t have a solution for cakes in round pans or cupcake tins, so mine sunk in a little as it cooled. 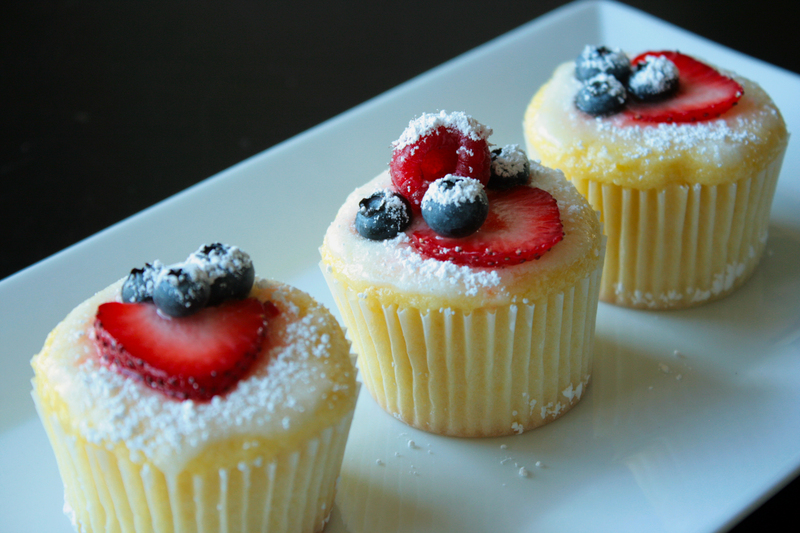 The taste and texture are the same with flat pans, you just won’t have a tall cake. In a small sauce pan, melt butter over low heat. Remove from heat once melted and stir in powdered sugar and lemon zest. Once mixture is smooth, slowly add lemon juice while stirring. Let glaze cool slightly. Pour/spread evenly over cake. Allow extra glaze to drip over the edges. Toss on fruit, and dust with powdered sugar.